Balsamic Vinegar from Modena IGP is only made with cooked grape must and wine vinegar. With full respect of the antique tradition, this vinegar is not rushed but created according to the weather and the season leaving nature to take its course, giving a product that is known world-wide. 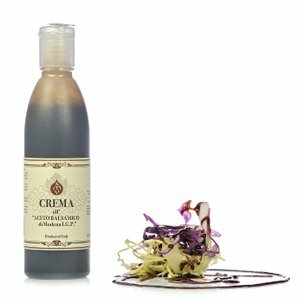 Perfumed and intense, this vinegar is best for dressing boiled vegetables and white meats or as a base for marinating roasts and large pieces of meat. Ingredients Cooked must from the 7 vineyards listed in the IGP specification, wine vinegar. ALLERGENS: contains sulphites. For more information on product labels, please contact our Customer Service department. The information on the labels of the products may vary for reasons beyond our control, therefore, there may be discrepancies between the information on the site and that on the products delivered. Please always check the information on the product before consumption or use. Amid the mists of the fascinating Modena countryside, icy in the winter months and very hot in the summer months, you'll find the Società Agricola Aceto Modena - the Modena Vinegar Agricultural Company. 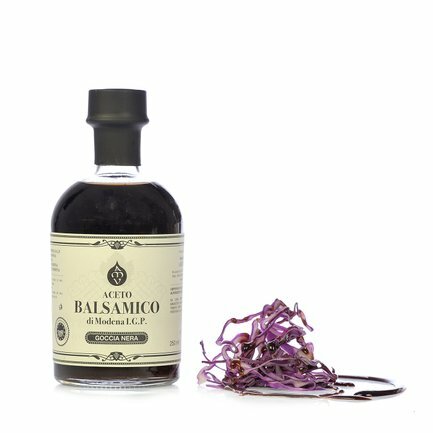 The company has been producing the exquisite Traditional Balsamic Vinegar of Modena D.O.P for years, the truly excellent balsamic vinegar that most characterises the traditions of the Emilia region of Italy. Hard work and dedication has led to the passing on of the traditional recipe for a condiment loved and appreciated worldwide.